After Saturday’s crushing disappointment against Godmanchester Rovers in the FA Vase, Khalsa will have an opportunity to put some pride back in their souls on Tuesday when Lichfield City are the visitors in the second round of the JW Hunt Cup, battling it out for the right to face AFC Wulfrunians in the third round. 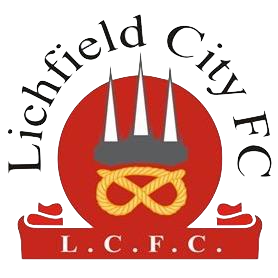 Lichfield are currently flying in the Midland Football League Division One – the division below Khalsa – sitting five points behind league leaders Heather St John’s and having scored a whopping 17 goals in their last two games. On Boxing Day, Lichfield battered Stapenhill 9-2 and followed this up on Saturday with an 8-0 win over bottom side Littleton. James Taylor (16), Joe Hartshorne (11), Drew Aitken (10) and Max Black (10) have all posted double figures for the season. Lichfield reached the second round of the Hunt Cup by thumping Willenhall Town 6-1 in the first round while Khalsa saw off Wrens Nest 10-1 at the same stage of the competition. The two sides have done battle twice in recent times. Two years ago, the two sides met in the quarter-finals of the JW Hunt Cup in a game Khalsa won 3-0. The most famous occasion was the final of the Staffordshire FA Vase at Stafford Rangers which Khalsa won during their title-winning 2014-15 season and saw Craig Bannister grab all three goals in a 3-1 victory.